Change things up with these side-trips from Canberra: Gundog Cork Street Cellar (in Gundaroo) and Wily Trout Vineyard (in Murrumbateman). 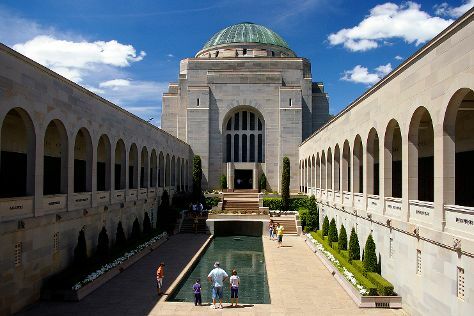 Next up on the itinerary: take an in-depth tour of Australian War Memorial, admire the natural beauty at National Arboretum Canberra, hike along ANZAC Parade Walk, and engage your brain at Questacon. For other places to visit, maps, where to stay, and more tourist information, read Canberra day trip planning website . Hamburg, Germany to Canberra is an approximately 32-hour flight. The time zone changes from Central European Time to Australian Eastern Standard Time (New South Wales), which is usually a 9 hour difference. Traveling from Hamburg in June, things will get little chillier in Canberra: highs are around 15°C and lows about 0°C. Cap off your sightseeing on the 14th (Fri) early enough to go by car to Sydney. You'll find plenty of places to visit near Sydney: Norman Lindsay Gallery & Museum (in Faulconbridge) and Katoomba (Wentworth Falls, Echo Point Lookout, & more). Spend the 20th (Thu) exploring nature at Sydney Harbour National Park. 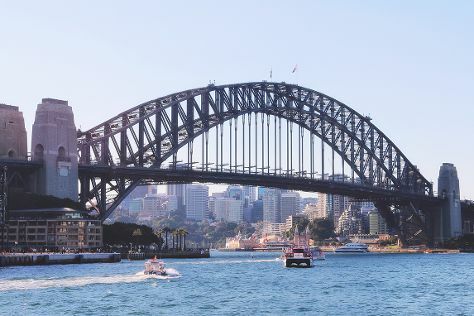 Next up on the itinerary: see a show at Sydney Opera House, take in nature's colorful creations at Royal Botanic Garden Sydney, meet the residents at Sea Life Sydney Aquarium, and take a stroll through Darling Harbour. To see where to stay, other places to visit, traveler tips, and other tourist information, read our Sydney online attractions planner . Getting from Canberra to Sydney by car takes about 3.5 hours. Other options: fly; or take a bus. Prepare for a bit warmer weather when traveling from Canberra in June: high temperatures in Sydney hover around 21°C and lows are around 11°C. Cap off your sightseeing on the 22nd (Sat) early enough to travel back home.